Plant-based minerals is a general term for minerals that plants absorb through their roots from traditional minerals in the soil, modified by photosynthesis into a state that is easy and safe for living things to use. These consist of over 70 varieties of well-balanced minerals that not only supply the body with nutrients it needs, but are also effective in expelling harmful minerals from the body. Quantities of minerals in modern diets have diminished, so for modern consumers who have fallen into a trap of chronic mineral deficiency, it is ideal to be able to safely consume plenty of minerals. 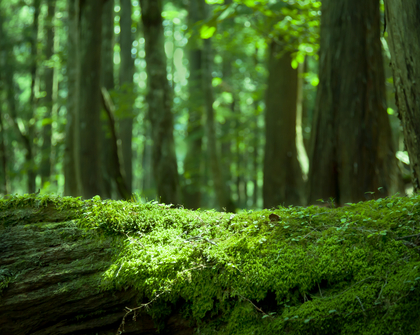 Fulvic acid is a miracle substance enveloped in a variety of minerals as the final product of plants and other substances being decomposed by microbes. It primarily acts as a transporter for minerals to cells, the unsung hero of activating the magnificence of plant-based minerals. Fulvic acid is also a natural electrolyte, so it also contributes to a high absorbency rate that we cannot get from minerals alone. Additionally, research in recent years has shown that fulvic acid neutralizes harmful minerals that accumulate in the body, working like a magnet to absorb and eject them. 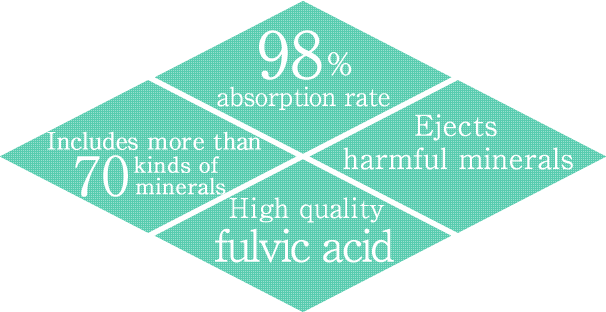 Fulvic acid may truly be the greatest attribute of plant-based minerals. This term refers to minerals created by pulverizing or processing husks or salts in things like rocks, limestone, or oyster shells. 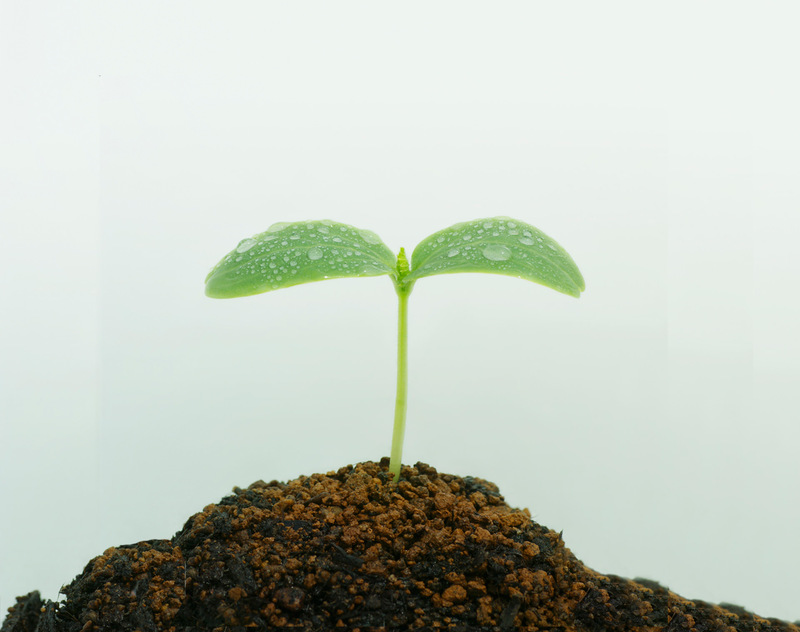 Traditional minerals contained in the soil are made of large particles, making them difficult for our cells to absorb. They also possess inferior nutritional balance, which risks being harmful to the body if consumed in excess. These account for most minerals sold on the market. 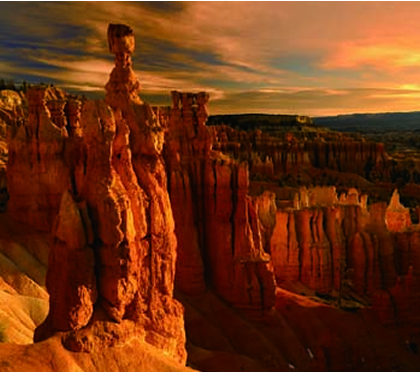 Humic shale minerals were embedded underground during the Ice Age some 100 million years ago. Having been decomposed by subterranean microbes, these formed into solid matter, including over 70 varieties of well-balanced minerals. 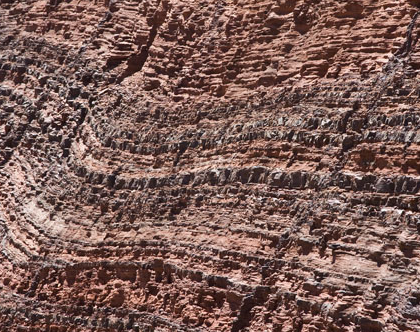 Usually when such ancient plants are buried underground, they gradually decompose into fossils, oil, or coal, but these have formed a kind of miraculous geological stratum. Humic shale fulvic acid is like the diamond of ancient plant-based minerals. It features an abundance of extremely rare, precious fulvic acid. Not many people in Japan are yet familiar with fulvic acid, but it is sure to gain prominence when once its unknown potential comes out. It has an excellent ability to weed out what is necessary and what is not, drawing out the maximum benefits of plant-based minerals. Modern plant-based minerals/Replan are the ultimate diet minerals carefully extracted from the ashes that are a result of processing 13 kinds of Japanese wild grasses, leaves of trees and shrubs, and seaweed at high temperatures to a magma state, completely removing the oxygen. These plant-based minerals are packed with wild growth restoring and emulsifying powers, and endowed with the vitality of the wildly growing plants native to Japan.